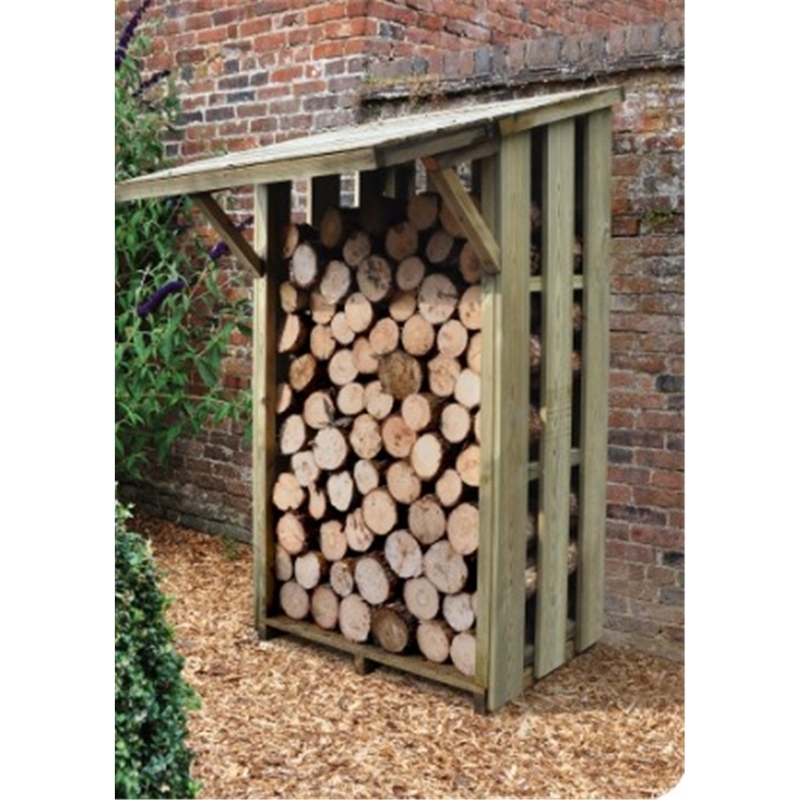 The small log store has a convenient folding roof, this allows for extra protection again the elements while providing easy access to the log stores content. This small log store is manufactures from quality pressure treated timber for a very low maintenance and long lasting log store. 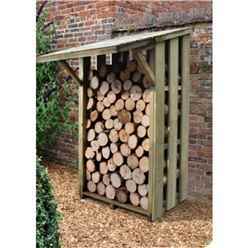 The slatted cladding and raised floor allows for all round air flow to dry out the timber stored inside. All orders must be placed before 11am to qualify (for Saturday deliveries order need to be placed before 11am Thursday prior to the Saturday) All orders placed afterwards will be treated as placed the next working day. All products with installation will revert to our standard 10 working days delivery. You will be contacted to book in an install day. Product delivery and installation will take place on separate days. Please use the delivery date checker tool on each page. Please enter available dates in the delivery notes on the checkout page. Once your order has been placed, you will be contacted by our manufacturer's delivery team and your date will be confirmed or you will be advised of a specific delivery date. You will be able to add additional delivery information at this point. We are unable to specify a delivery time during the day of delivery. Our couriers deliver between the hours of 7am – 7pm. Routes are planned the night before delivery so on most products we will be able to give you a drop number on the day of delivery.